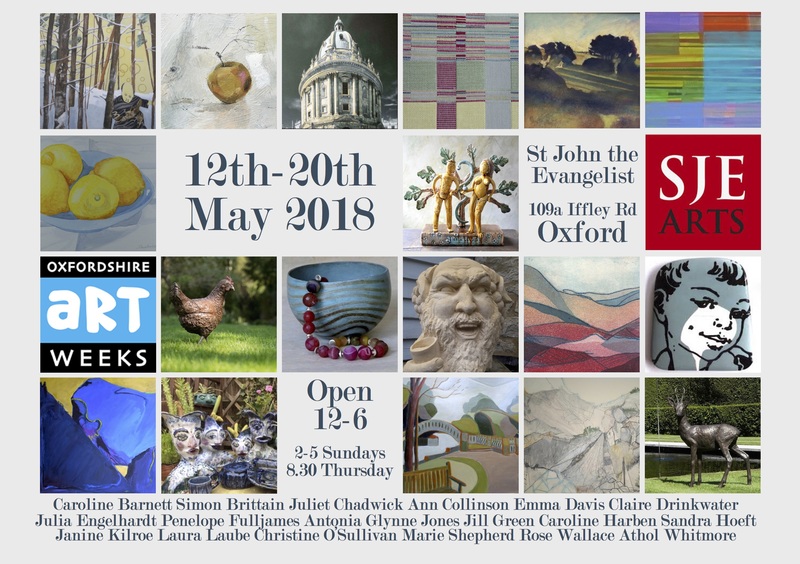 Artweeks is a wonderful time at SJE – a riot of colour and interest fills the Cloister Gallery. This year 18 artists are showing their work with every variety of technique represented – sculpture, ceramics, drawing, printmaking, jewellery, weaving, photography, pottery, mixed media and painting. Enjoy a stroll around the cloister, admire the sculpture from a chair in the garden or learn how it all happens at one of the artists’ workshops. Opening times: Saturday 12-Sunday 20 May 2018, 12-6pm Monday-Saturday, 2-5pm Sunday. Late view Thursday 17 May until 8:30pm. Entry from the Iffley Road alongside St John the Evangelist church.